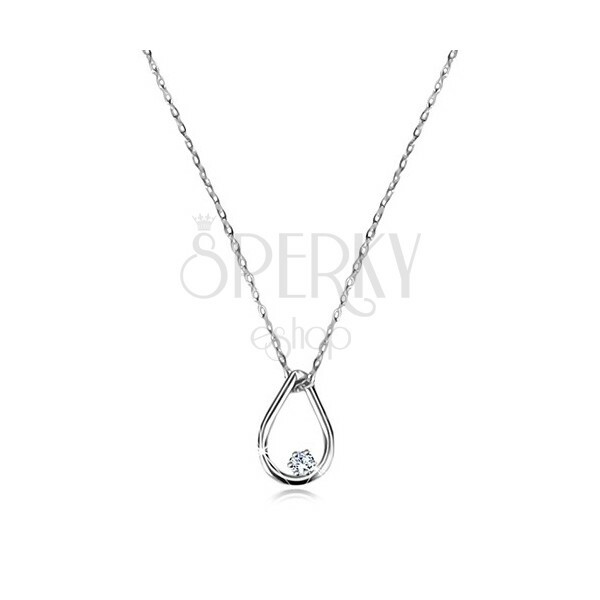 Diamond necklace of white 375 gold - thin chain of oval rings, brilliant embedded in glossy contour of drop, lobster closure. 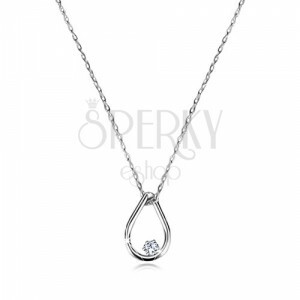 Necklace is made of white 9K gold and it consists of detachable pendant with diamond and find chain. Pendant has a shape of drop contour with glossy and smooth surface. There is a cut round brilliant of transparent coloured finish at the bottom part. 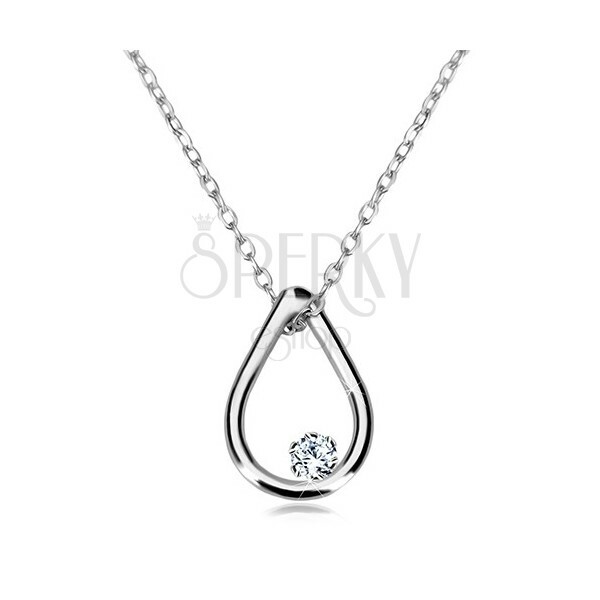 Thin chain consists of tiny oval rings, which are vertically connected. Necklace has adjustable length and lobster closure.